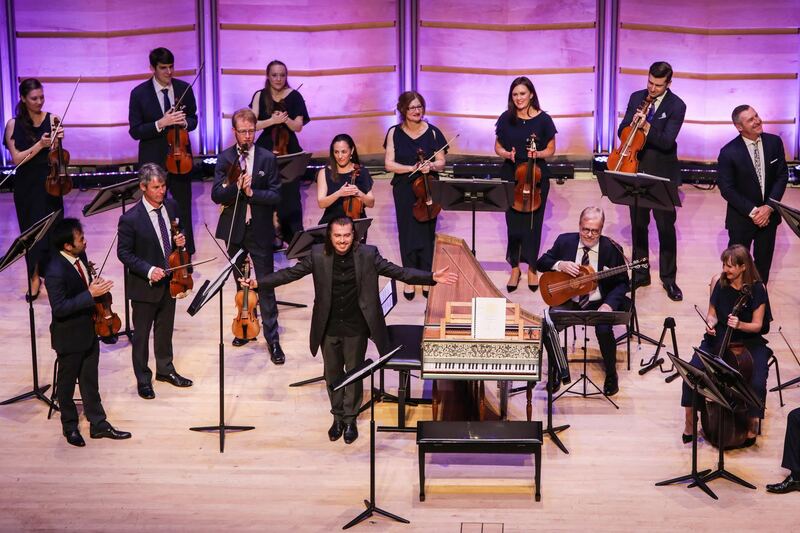 Back from a three year stint abroad, world-renowned musician and violinist, Dmitry Sinkovsky is in Sydney for one week only with the Brandenburg Orchestra. 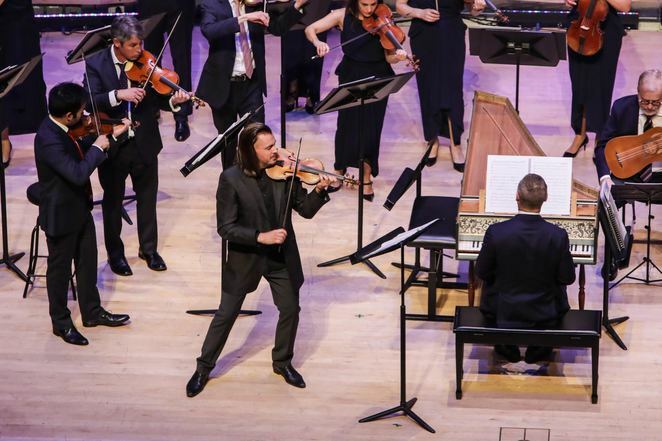 He both headlines and leads the orchestra through an engaging repertoire of musical surprises which, alone, is worth the price of a season's subscription. (Though you can get tickets without one). This programme is Artistic Director Paul Dyer's most pleasurable – and educational – of the 2017 season. This is saying something, given the amazing performances we've enjoyed this year including the tumblers of Circa and the rebirth of the Messiah. Tonight, we experience a more classical array of baroque music where the acrobatic feats are those performed by the musicians themselves. The pre-concert talk with Dr. Maddox provides layers of depth that would be lost on the casual concertgoer. The violin was considered a solo instrument in mid-18th century musical composition, and Maddox's talk illuminates the subtle differences in style between the Italian and French concerto pieces that make up tonight's repertoire, providing a key to understanding the juxtaposition that Dyer is teaching us to discern in tonight's sets. Needing no extra fanfare, the Brandenburg gets straight into the music, beginning with Jacques Aubert's Concerto for four Violins. It's a perfect start to the show as it's a blend of the Italianate and French styles and allows the audience to tune themselves to the instrument that features in tonight's performance. However, when Dmitry joins the stage for the second piece, Telemann's Concerto for Violin per Signor Pisendel, we were sure that this was the show stopper, and we could all go home. Telemann, an 18th Century composer, wrote this piece for the most talented European violinist of his day, so it seems fitting that it is Dmitry's re-introduction to the delighted Antipodean crowd. But stay we did, and glad of it, as the program continued to surprise and impress. Dmitry treats his over 350 year old violin with the respect it deserves by taking it through a repertoire of bow-breaking pieces, including several of Vivaldi's brutal stunners. But Dmitry was un-phased and un-harried, at several points ending one solo only to drop his violin, conduct the orchestra, pluck the broken strands from his bow and tuck back into another. At the end of the formal repertoire, we were surprised that such a great show hadn't brought the Sydney crowd to their feet. But the seasoned crowd knew more was in store. And more than a few attendees seated nearby confessed they'd seen him three years ago. Why had they returned? Well, Dmitry has certainly earned his reputation, and his nickname. But to find out what lays beyond the final curtain, dear reader, you must attend for yourself – if you can score a seat! You have several chances to catch this performance in Sydney, Melbourne and Brisbane.